This book provides a succinct yet up-to-date and challenging approach to the French Revolution of 1789-1799 and its consequences. Peter McPhee provides an accessible and reliable overview and one which deliberately introduces students to central debates among historians. The book has two main aims. One aim is to consider the origins and nature of the Revolution of 1789-99. Why was there a Revolution in France in 1789? Why did the Revolution follow its particular course after 1789? When was it 'over'? A second aim is to examine the significance of the Revolutionary period in accelerating the decay of Ancien Regime society. How 'revolutionary' was the Revolution? Was France fundamentally changed as a result of it?Of particular interest to students will be the emphasis placed by the author on the repercussions of the Revolution on the practives of daily life: the lived experience of the Revolution. 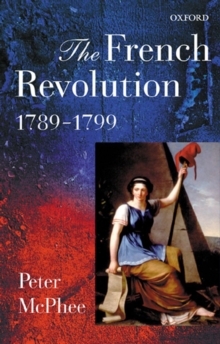 The author's recent work on the environmental impact of the Revolution is also incorporated to provide a lively, modern, and rounded picture of France during this critical phase in the development of modern Europe.